or click for step-by-step instructions. 2. Select [Sign in] to display the Sign In page. 3. 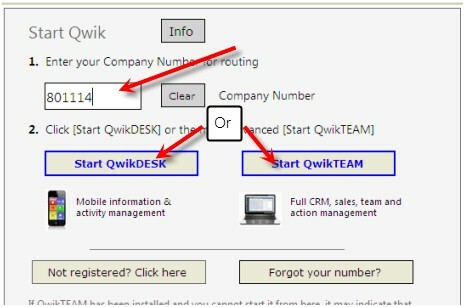 Enter the company number and select which Qwik app you want: QwikDESK for mobility and general use or QwikTEAM for full functionality. NOTE: Company number: Your administrator will provide it to you. (Administrator: the company number is shown in the Company number field of the Administration panel > [Settings tab]).